Make SouthPack your one-stop club store packaging source! 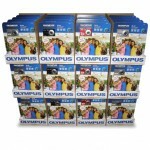 SouthPack knows the ins and outs of effective consumer packaging. We offer a wide variety of options, including single-unit custom thermoforming consumer packaging, full pallet display packaging programs and sustainable packaging solutions. Call 888-SOUTH03, Ext. 16 (888-768-8403) now or contact SouthPack now to see how we can put or consumer packaging expertise to work for your display packaging needs. Utilizing Point-of-purchase displays in stores can bolster sales because they give shoppers more information about items even when salespeople aren’t available to highlight the product features. 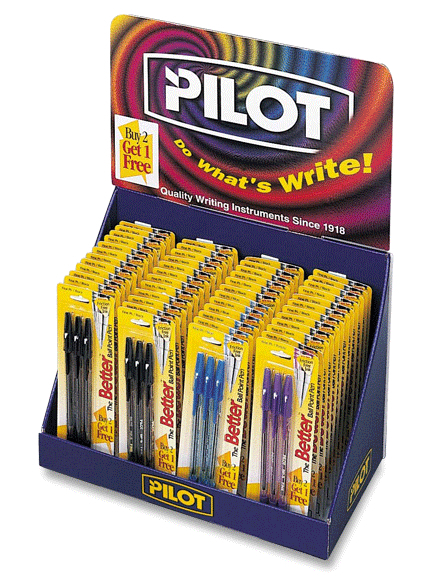 These displays often include unpackaged samples that shoppers can try out in a store or use the Try Me features. For example, an iPad that can be running as a point-of-purchase display, this allows customers to test the product or Try Me. 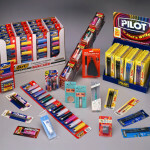 When it comes to marketing an item for a short term promotion, a corrugated display is a cost effective option. 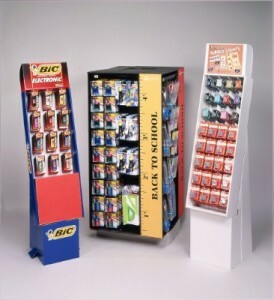 Corrugated displays will not have the life of other types of displays, but they are mostly used to market a large amount of merchandise in a store for a limited time. 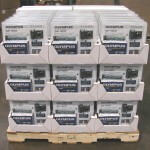 Often they are shipped in loaded with product as part of a pallet display program. 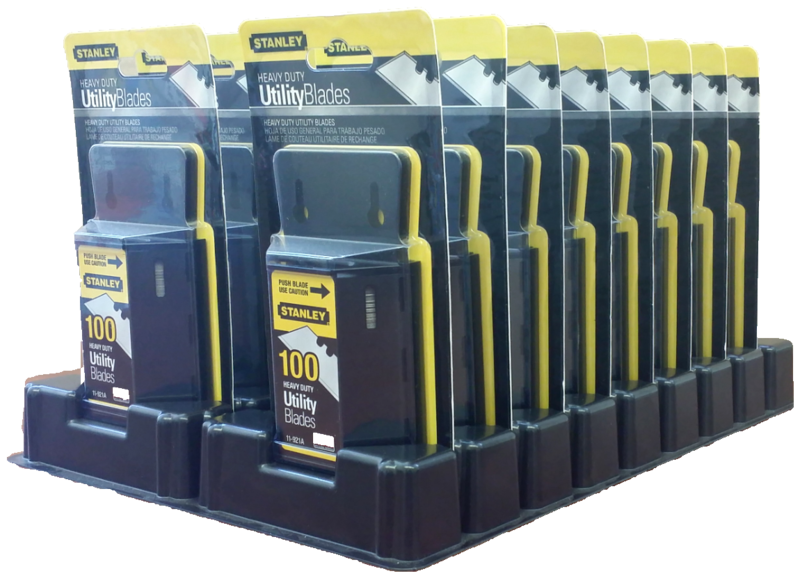 The Stanley Fat Max pallet display included an additional item packaged in the clamshell as part of a promotional give away. The program involved two unique trays and a filler piece to square the display. 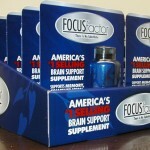 Each pallet held 120 units and shipped fully loaded to the club stores. 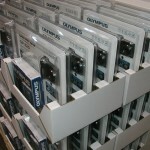 A corrugated cover or shroud protects the displays in transit. Once at the retail store, the store associate removes the shroud, and the product is ready to for sale. 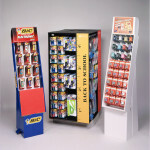 The Staples quarter pallet display is smaller in size than the full pallet Fat Max display, but is also designed for short term sales increases. 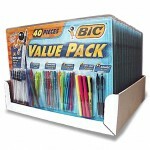 The display consists of corrugated trays that have wire racks installed inside to allow the product to be pegged hooked. A corrugated cover or shroud protects the displays in transit. Once at the retail store, the store associate removes the shroud, and the product is ready to for sale. Power wings are another great tool for displaying your product in many areas of the store where space can be an issue. 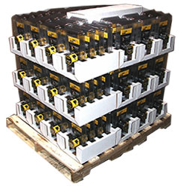 Smaller than a pallet program, they are a more affordable option even when it comes to shipping costs. 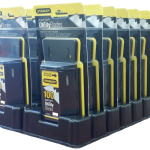 If you are looking for durability, quality and the ability to design many different design features to better market your product, then a Thermoformed display is the route to go. Sometimes a product needs additional attention brought to it. 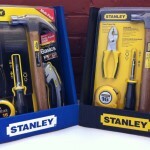 In those situations it is helpful to add eye catching features on the display. The Hyde countertop display has shelves to hold various products. The display pops due to the graphics and the mirrors. 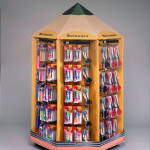 The printing on the display readily indicates what the item is used for, by showing the various uses.